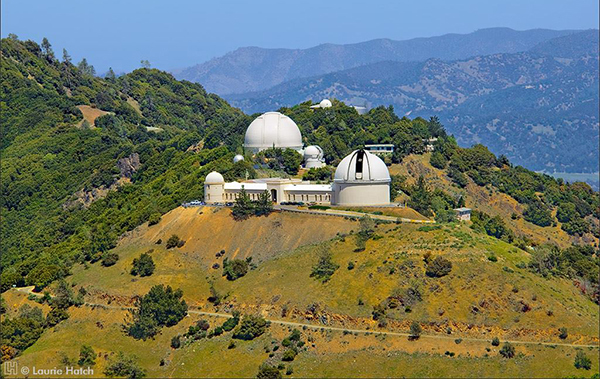 Lick Observatory is owned and operated by the University of California. It is a major site in the University of California Observatories (UCO), which is responsible for its operations. Lick began operations in 1888 as part of the University of California. It was founded by a bequest from James Lick, real-estate entrepreneur and California's wealthiest citizen. Lick's gift of $700,000 was the largest philanthropic gift in the history of science and would amount to $1.2 billion by today's standards. Today, Lick serves astronomers from all eight UC astronomy campuses (Berkeley, Davis, Santa Cruz, Santa Barbara, Los Angeles, San Diego, Irvine, and Riverside) and two national laboratories (Lawrence Berkeley Lab and Lawrence Livermore Lab). Lick users range in age from undergraduates to the most senior and eminent astronomers in the University of California. At any given time, over 100 observers are pursuing science programs at Lick. Lick also serves as UC's chief testbed for developing new instruments and new technologies for optical astronomy. The technical facilities at UC Santa Cruz and UCLA upgrade existing instruments and develop new instruments for Lick Observatory. Lick also has a mandate to communicate the knowledge and thrill of astronomy to students and to the public at large. Thirty-five thousand adults and children visit Mt. Hamilton annually. The Summer Visitor's program features lectures by renowned astronomers and permits visitors to view the cosmos directly through the 36-inch Great Refractor. The Music of the Spheres concerts soothe heart as well as mind. The Main Building features eye-catching, informative exhibits, and hosts teacher-training workshops for K-12 teachers.